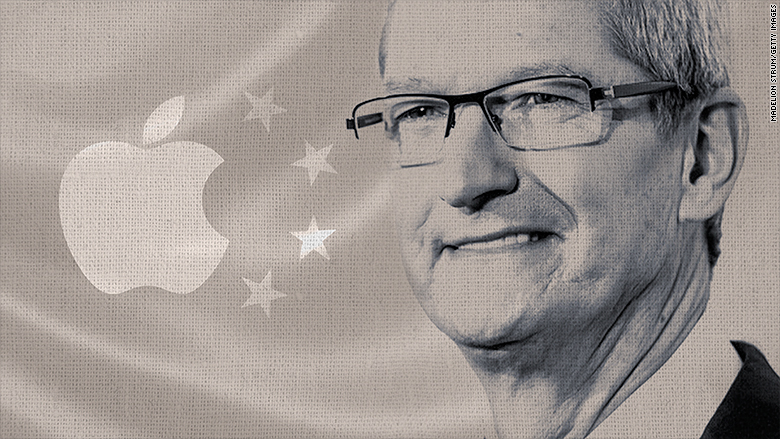 Apple’s CEO says he hopes China’s intensified crackdown on internet access is only temporary. Tim Cook on Tuesday addressed the controversy over his company’s recent removal of some virtual private network (VPN) apps from its China App Store, reiterating that the U.S. company was simply complying with Chinese regulations. “We’re hopeful that over time the restrictions we’re seeing are lessened, because innovation really requires freedom to collaborate and communicate,” Cook said during Apple’s (AAPL, Tech30) latest earnings call. China has in recent months strengthened its massive internet censorship apparatus, which is often referred to as the Great Firewall. It has partially blocked popular messaging apps like WhatsApp and stepped up its censorship of images deemed politically sensitive. Earlier in the year, Chinese authorities announced a widening crackdown on VPNs, which use encryption to bypass online filters — a move they defended last week by saying it is aimed at “cleaning” the internet. Apple’s decision to remove the VPN apps in China was widely criticized, with many saying it was aiding and abetting Chinese censorship. ExpressVPN, one of the popular apps that was delisted, said in a blog post that it was “disappointed” and “troubled” by the tech giant’s decision. But Cook defended the move, saying it was no different to Apple’s compliance with local regulations in all its markets. “We would obviously rather not remove the apps, but like we do in other countries we follow the law wherever we do business,” he said. He also disputed comparisons made by some critics between Apple’s treatment of Chinese government requests and its refusal last year to help U.S. authorities unlock the phone of one of the perpetrators of the San Bernardino terrorist attack. This is not the first time Apple has drawn criticism for doing the Chinese government’s bidding. The company removed multiple apps belonging to the New York Times from the App Store in China in December. It has also been at the receiving end of Chinese censorship, with its iBooks and iTunes Movie services shut down last year. The latest controversy comes as Apple faces a continuing decline in sales in China, its biggest overseas market. The company’s revenue from the Greater China region in the latest quarter fell 10% from a year earlier.